Bolt-on necks are the latest phase in steelstring guitar construction. 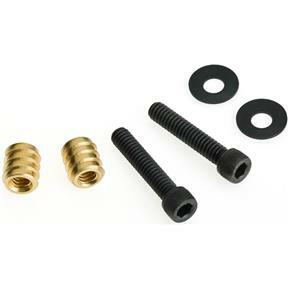 Most large guitar companies use these types of inserts as they allow precise adjustment and simplify neck installation. 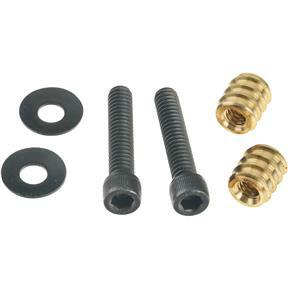 Each set consists of 2 threaded inserts, 2 conical spring washers and 2 bolts.